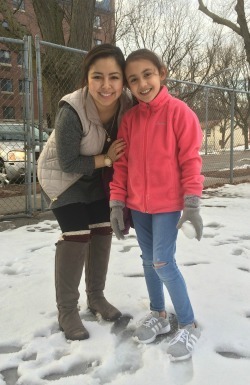 Kids Can mentors are dedicated volunteers who provide guidance, support, and encouragement. We have mentors from all walks of life including college students, working adults, and retired grandparents. Mentors can help youth with school or social issues, help them achieve better grades, and avoid risky behaviors. 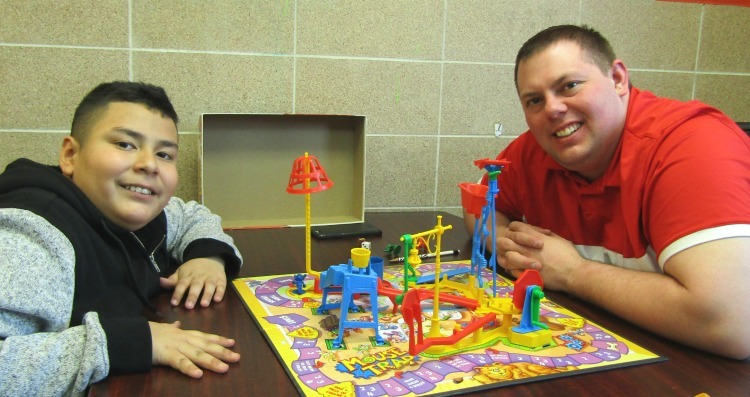 Mentors meet once a week at the Kids Can building. Mentoring matches decide together what they will do each week. Activities range from playing board games, to baking, to playing sports, to doing arts and crafts! All the mentors receive training and ongoing support from Kids Can staff. The year-long friends provide a caring, stable influence in a kids's life. 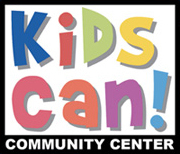 For more information, contact Bri Hunter at 402-731-6988 ext 215 or email bhunter@kidscan.org. Our mentoring program is accredited through the MENTOR Nebraska (formerly Midlands Mentoring Partnership), a non-profit dedicated to improve the number and quality of mentoring programs available to local youth. MENTOR Nebraska is a public/private organization that receives funding support from local government and private foundations. MENTOR Nebraska is made up of Partner Member organizations, Candidacy Member organizations, and is an affiliate of MENTOR: The National Mentoring Partnership. Mentors, you can now log in from our website by clicking the MentorCore logo below or use this link or by clicking the MentorCore logo. Bri started with Kids Can in January of 2017. Before joining the team at Kids Can, Bri spent three years teaching English in Korea to Kindergarten to Middle School students! For Bri, working with youth is rewarding, dynamic and every changing. She is a compassionate person and believes all kids deserve to be around compassionate adults. Bri has a Bachelor’s degree in History from the University of Northern Iowa and loves to watercolor, read, metalwork, cook, travel and walk her dog. Want to see more about mentoring? Watch the video below!